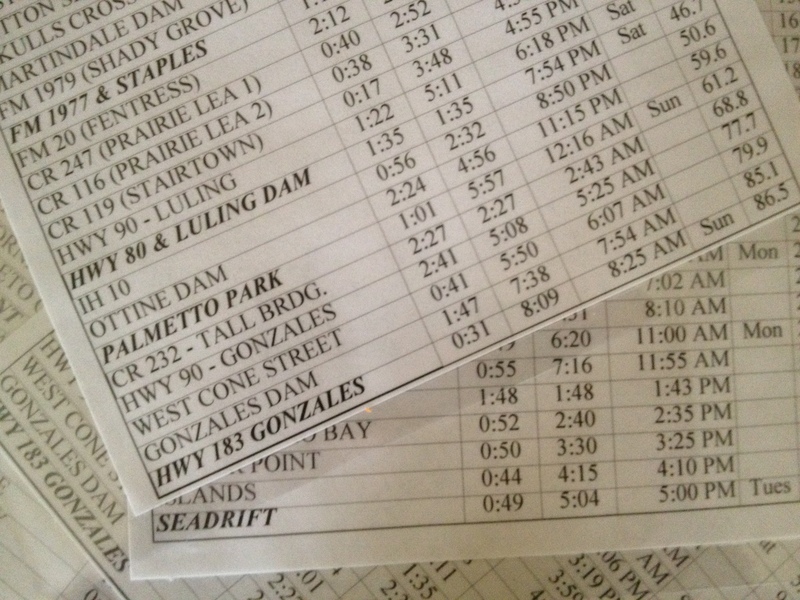 I can hear the clock ticking — louder with each passing hour as the start of the Texas Water Safari draws closer. For months now, I have been training to participate in this 260-mile marathon canoe race with my son, Jonathan. I find myself becoming more and more pensive as the time draws closer, reviewing all kinds of stuff (like the portages) in my head. Today has been all about completing the inventory sheets that we must turn in before the start of the race. We have to be absolutely certain that we have everything we will need or do without it. The only thing that our team captain can give us at the checkpoints is water and nothing else. So if we forget something, too bad! We’ll have to do without it. That’s great incentive for making a list and checking it twice. 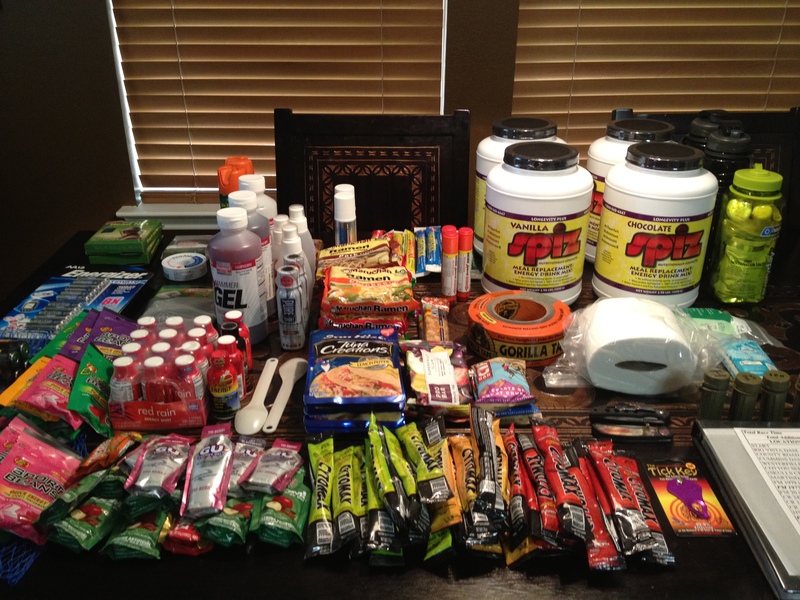 Thankfully, Jonathan took good notes last year on how much nutrition and what gear it takes to make it to the finish line. In addition to all of the gear that we must carry, Jonathan and our friend Ben (multi-time safari finisher) have worked out our split-times — the schedule that will keep us on track as we paddle from checkpoint to checkpoint. We will have to work hard to arrive at each of these milestones as close to our scheduled times as possible, or before. This evening, Jonathan and Niki, our team captain, worked out all of the details on how much water we will need at each point along the way. We have to get this right because we will have some long stretches between checkpoints and do not want to run out of water. There is a lot of pressure on the team captains as well because they have to drive to the various checkpoints to meet their teams, in some cases in the early hours of the morning. Competing in the Texas Water Safari is indeed a team effort. Jonathan and I will pack our gear tonight and then finish installing a couple of extra gear hooks on the canoe. Our plan is to load our gear and head to San Marcos on Friday morning. Because this is the 50th anniversary of the Texas Water Safari, we are attending a special banquet on Friday evening. We’re looking forward to seeing some friends we have made on previous races and meeting new folks. I’m sure that it will be hard for me to sleep on Friday evening. I am so keyed up that all I can do at night is think about the race. At this point, I am ready to get in the canoe and start the adventure. But, that will happen soon enough. I will write one more post on Friday evening and will include a link to our SpotTracker page for those of you who would like to follow our progress in near-real time. Thanks for following our journey thus far. More to come! Looking forward to seeing you on the river! Would you be kind enough to email a copy of your food inventory to me tonight? Same here, Jeff. I will email food inventory shortly. God speed! May you and Jonathan remain injury free and meet all your goals. Know that you and your son are in my prayers. I pray that the Lord gives you strength and resilience, and keeps you safe. But most of all I pray that you enjoy this precious time with your son, building irreplaceable memories. Thank you, Jackie. Doing this with Jonathan and my family will make it extra memorable. God speed and safe travel, Omar! Looking for a little help is there anyway you could email me an inventory list of food. I have no experience in any of this. I sent you an email with some info. Best of luck to you as you race.